This is a 3 part guide that goes over ranking factors, SEO violations, and SEO myths in 2018. Our goal for this guide is to give a strong general understanding of how websites rank in search engines. You want to grow your business and understand that having an online presence is vital in building your brand. But with the hundreds of steps that are involved in moving into the digital world you may be intimidated and confused. Which is why we have created this guide to help you understand everything involved with search engine optimization. SEO is the process of increasing the quantity and quality of traffic to your website through organic search engine results. Search Engine Optimization plays a major role in managing your website and creating a steady stream of people to visit your site. There are many aspects to SEO, from the words on your page to the way other sites link to you on the web. SEO is simply a matter of making sure your site is structured in a way that search engines understand the user. With the role technology plays in our lives nowadays, 88% of consumers are researching online before making a purchase. Your website is a huge opportunity to gain clients and share your brand with the world. Having a distinguished and well built website that ranks within the top three listings on Google (or any other search engine) will heavily influence the users decision on whether to visit your site or your competitors. When people search something that is relevant to them, and they see your website in their search results, they are going to click and be drawn to your page. When someone performs a search on Google the search engine does two things: first, it only returns results that are relevant or useful to the searcher’s inquiry; second, it then ranks those results according to the ranking of the websites providing the information. There are 3 sections on the page that we like to focus on: paid ads, local rankings, and organic rankings. 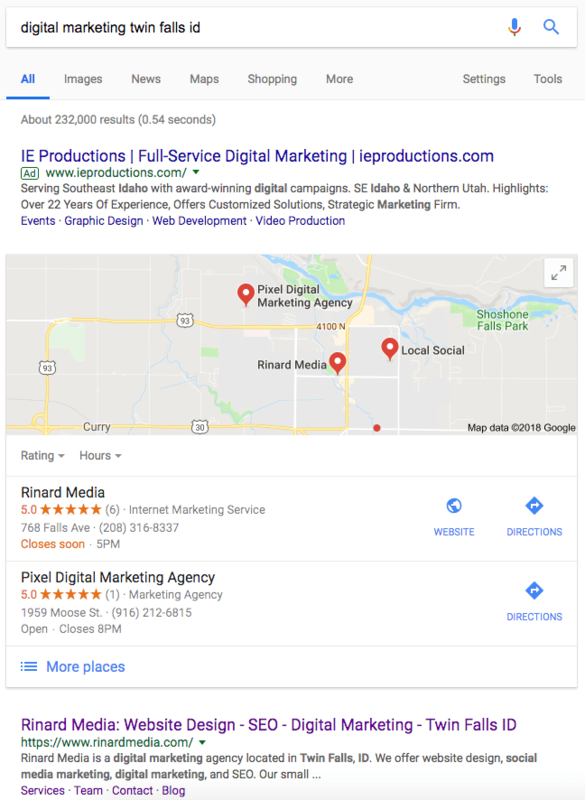 AdWords ads appear under an “Ads” label and may be placed in top and bottom locations around the organic search results. The next portion is called the “local-pack” which shows 3 local businesses with reviews and direct calls-to-action. The last section of the search engine result page (SERP) is the organic rankings. This is a list of 10 businesses ranked 1-10 that SEO service is directly trying to influence. Here is an example of ads, local listings, and organic rankings. Here we will go in-depth and explain some factors that will help your website rank. There are hundreds of factors that play a role in how well your site ranks but listed below are the fundamental factors we focus on that determine your ranking. Keep in mind all of these factors work together and sometimes overlap and effect each other. The goal is to raise your overall score and rank better in search engines. Link Building – These are links going to and from your site. Backlinks help Google determine your credibility and shows you are a reliable and relevant source of information. On-site Optimization – These are the actual factors on your website like title tags, meta descriptions, alt text descriptions, image optimization, mobile responsiveness and more. Off-site Optimization – This is everything away from your domain and would include Google My Business, Social Media, and online directories. Website Quality – This is the experience a customer has on your site which covers the words on the page, the images they see, and how it looks on every device type. Website Authority – This is your credibility to Google. Are you legit or do you need to quit? Website Traffic – Having a large inflow of visitors to your website shows Google that you provide information on your site that is valuable to a majority of people who find it relevant. Relevancy – Having content on your website that is correlated to what you do is important. Generic content doesn’t cut it anymore. You need to have dialed in content that educates the visitor. Before we can go into what link building is we first need to identify the different types of links and their function. We can classify links based on their destination, whether it leads users to another page on the same site or a different website. Internal links are links between the pages within your own website. When another website points to a webpage on your site this is known as an inbound link. An outbound link is a link on your site that sends visitors to another website. Earning high-quality links from trustworthy and authoritative websites is absolutely necessary in improving your organic ranking. Link building requires a disciplined and creative approach because in order to receive a link you must have high value content, a level of authority, and credibility. The reason you need backlinks is because Google looks at the amount and quality of the links as a popularity contest. The more quality links you have, the better you will rank. Here are a couple strategies to gain links. Create Valuable Content. If you want to build a strong backlink campaign, you need your visitors to be engaged and stick around long enough so they can see the value of your content. If your visitors view your content then immediately leave the page because they found your content useless or irrelevant this can hurt your bounce rate. Bounce rate is the percentage of visitors who come to your website and leave without viewing any other pages on your website. If you look into your Google Analytics, you will see a percentage. If your average bounce rate, for example, is 75%, this means that 75% of the people who come to your website leave after only viewing the page they entered on. Whether it was your homepage or an internal page.  When other websites see that you have provided useful information through a blog, infographic, chart, or video, they will be more inclined to credit you and use you as a source and ultimately link to your resource. Become A Contribution Writer. Do some research and look for other sites in your industry which have blogs that align with the content you currently produce. Reach out to those sites and offer to write for their blog. This is beneficial for them as they will have more relative content on their site and will also receive an inbound link from you. In return you will gain more exposure and build your backlinks. Offering content and accepting guest writers is a win-win situation. This gives you the perfect opportunity to ask them to link to some of the great content on your website and write for you as well. Events. Using events to create brand awareness is a great strategy for building backlinks. Media outlets love to cover companies that support the community. A lot of times, you can partner with other local businesses to create events that garnish inbound links. Once the event or article has been published on your website, reach out to other businesses and media outlets to share the article. If the event is worth supporting, the link should come naturally. Scholarships and Grants. Scholarships and grants are an interesting way to get backlinks. Your business can offer a small scholarship and award it how you see fit. Reach out to the public sector and find websites that will allow you to post your scholarship linking back to your website. Title Tags. Title tags are the most important on-site factor for your website. These are the page titles that use a keyword and short description to describe the content of the page. Google doesn’t like to waste time, so making sure these titles are optimized is your first priority. A solid structure for these titles would be (Keyword) – (Short Description) | (Name of your company). More information can be found here. Be sure not to keyword stuff the title. Google is getting better and better at looking for natural content and in some cases, can devalue your page due to keyword stuffing. (Putting an unnatural amount of phrase variations in close proximity to each other.) You want to keep this around 60 characters. Meta Descriptions. Meta descriptions are the paragraphs of information underneath the title tag describing the page content in more detail. There should naturally be more keywords in this paragraph allowing for more search terms to populate your listing in the Google index. You want to keep this around 160 characters. This is what the Title Tag and Meta Description look like together. Mobile Responsive Design. Mobile responsive design is a large factor as of February 2015. Google has released updates to their algorithm the past few years as well, strengthening the importance of mobile design. Your website should be coded properly with appropriate media queries making the website viewable on all devices. The goal of this code isn’t to make it look the same on every device view, but to ensure the user has a great experience on every device type. Typically the views will look different on every screen size. Some companies create a desktop and mobile version of the website. This is poor practice and should be avoided. HTML to Text Ratio. It is important to have enough content on your page to give Google enough information to crawl. Google uses association in its algorithm and if there isn’t enough content it will have a hard time ranking the page. The goal for a page is to fully serve the viewer with all information they might need. Website Speed. Website speed is one of the largest ranking factors. No one wants to wait for a slow website, so why would Google? There are a few tricks to having a fast website. A great tool to test your website speed and see what issues your website might have is GTmetrix. Minify CSS, JS, and HTML on your website. This is a bit more technical and may require the help of a web developer. This is the process of combining files to reduce load times. Choose a better web host. A lot of web hosts use shared servers. 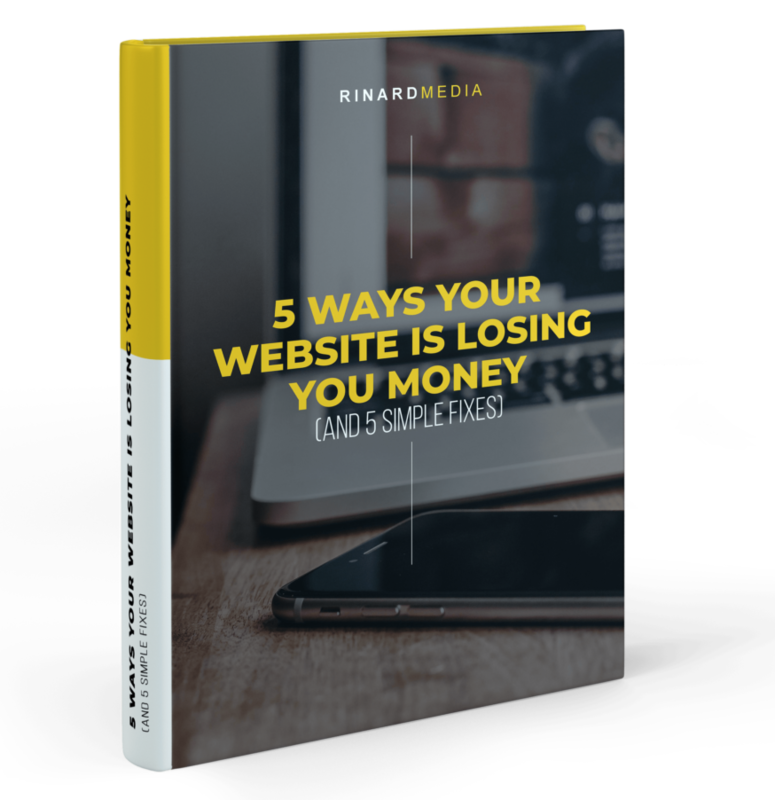 This means your site is occupying the same space and 50,000 other sites. This creates a network of slow sites. We recommend finding a dedicated server or virtual private server to ensure quick loading times. We prefer Cloudways and Siteground. Host videos externally. Try not to ever load video files onto your website. Use Youtube, Vimeo, or Wistia to host your video files and embed the video onto your site from there. Start by claiming your business on Google by going to business.google.com/add and filling out your local business profile. This is the directory Google uses for all local businesses with a physical location. This directory is attached to Google Maps and populates the data for your online listing including phone number, directions, and website URL. These listings look like this. There is also a section for business categories that needs to be filled out appropriately. The most important part of online directories is to have consistent name, address, and phone number (NAP). It is important to note that Google strictly states this database is for local store-fronts and physical locations only. If your business operates out of a PO box or mailbox provider, they will not approve your listing and ultimately suspend your account if abused. Google is getting increasingly better at finding fraudulent listings, so be weary of breaking any rules. Be sure to fill out profiles on popular social media platforms. This does not directly help you rank but helps build links as well as domain authority for the website. As of right now, we recommend Facebook and Instagram. Post regularly. This will help drive website traffic and give you an opportunity to boost on-site metrics. Try to load your business into as many high authority online directories as possible. This will drive website traffic and build domain authority as Google tracks your name, address, and phone number. Consistency is the key with this factor. Make sure the categories and business information are the same. Here is a list of great directories to be apart of. Website quality can be measured in many ways, but we like to say it’s what the viewer thinks of your site. If your color palette is hard to look at and harsh on the eyes, your bounce rate will be significantly higher. Focus on the feel of the site to make sure it is enjoyable to look at. Hiring a designer to wireframe your website is extremely important if you are wanting a professional site with professional results. If the site doesn’t load quickly or in a mobile friendly environment, people won’t like it and Google will track the metrics and take note for the next time they show your listing. The goal of website quality is to drive conversion so that Google sees a quality site. Lastly, your copy on the page needs to be written in a simple and easily understandable message. Here’s a tip for you, the goal for your copy should be to make the viewer the hero on the page versus your company or brand being the hero. Position your brand as the guide to the customer and watch your page metrics get better. All of these factors come in to play to generate website quality. On-page times will go up and bounce rates will go down with a higher quality website. Website Authority is Domain Authority and Page Authority put together. This is a score Google assigns to your website to help define the website’s rank. Domain authority is the external parts of your URL. The two largest elements Google looks at is the age of your domain, how long it’s been registered for, and the number of links pointing to your domain. Domain Authority is a term developed by Moz and is widely accepted in the SEO world. Page Authority is the comparison of your on-page content to other websites. 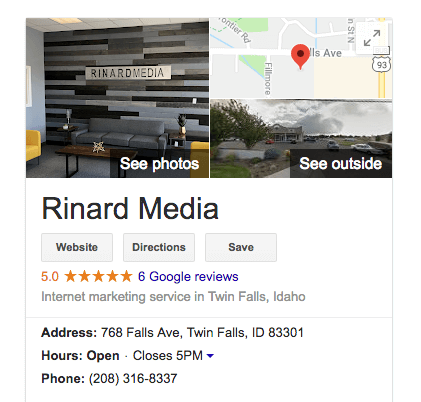 If your content is more comprehensive and answers more questions, Google will raise your Page Authority and ultimately raise your Website Authority in the rankings. Website traffic is the total number of all of the users on your website in a given period of time. Google tracks all data on their search engine. They track what pages you navigated to, how long you were on the page, and what you engaged with. They use this data to track particular metrics that we have mentioned before like bounce rate, total sessions, on-page time, demographics, location, and so much more. It is important to analyze your traffic and make sure your website serves the people that are searching for you. If you optimize your site well enough, your website traffic becomes a boost for your organic rankings. Your site begins to give more data to Google ultimately ranking your website more accurately. A great tool for tracking data is Google Analytics. Relevancy is the last thing we are going to mention. All of these ranking factors build on each other and work together to provide an experience to your user and ultimately present data to Google. The biggest thing you can focus on for your business is to provide relevancy. Answer the questions viewers are asking. Provide the content viewers are searching for. Shoot the video people want to watch. Many times in our companies, we use industry jargon that users don’t follow very well. It would be better to provide relevant information they can relate to. The most crucial part of SEO is defining a strategy before you begin working on your web project. Decide whether you want to invest in SEO or Ads or both. (Hint… it’s at least one.) 88% of users start researching online before purchasing. It is a no brainer to try and get to the top of Google. You can purchase links from networks all around the world. It temporarily works but Google typically finds the anomaly and penalizes your site. Google openly states that purchases links should not happen and that if they catch you, your site will be penalized. Your site can get hacked if not built properly. It is important to prevent this from happening. If your website gets hacked, Google will find it and flag your website ultimately destroying your Page Authority. Get this fixed as soon as possible. This is where people would make text color the same as a background color to hide content from the viewer. Google sees it, but the viewer doesn’t. Google penalizes this as they want you to provide relevant content to the viewer. A lot of SEO companies will create landing pages for every city and service for their client even if they don’t have locations there. Most times, these are duplicate pages with the exact same information with a few words swapped out. This is a poor method because Google wants relevant information to the people that are located in those cities. Keyword stuffing is loading an unnatural amount of keywords into your content. Google detects that you are stuffing the page and will penalize your site for the error. It is best to serve the relevant amount of phrases. 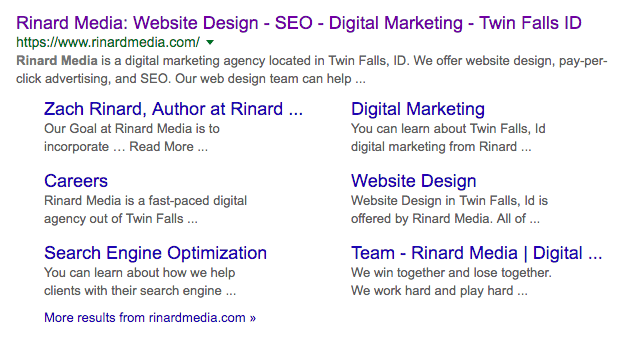 People also have a tendency to stuff Title Tags and Meta Descriptions to rank as well. Google has caught on and this doesn’t work anymore. Wrong. Social media does not help you rank directly. It gives you traffic to your website and visibility to your brand. The benefit is that your traffic can increase and your bounce rates can go down. Additionally you might have exposure on a piece of content that goes viral and generates some backlinks. False. Google does not give any rank boost to people buying ads from them. There has been a ton of studies on this from large companies that you can find pretty easily. The benefit to Google ads, is the growth of your website traffic ultimately effecting on-page metrics. So wrong. We have many clients that have seen increased rankings and visibility by simply moving them to a dedicated server from a shared server. Google cares about speed and that’s not changing anytime soon. Partly wrong. It works once. Then google has your IP and knows you are a returning visitor clicking the same link. Ultimately the traffic will get devalued and it will be a waste of your time. That’s it! We hope this guide was helpful and can get you started on your SEO journey. The SEO world changes every day so be sure to check back often for the latest updates. If you are needing help with SEO for your business, contact us and we would be glad to help you rank better. Inbound Link – an inbound link, also referred to as a back link, is a hyperlink on a third-party web page that points to a web page on your site. Internal Link – links between the pages within your own website. Link – a link, also known as a hyperlink, is a clickable object on a webpage that leads from one page to another. Links may visibly appear as text, images, or buttons. Link Juice – a slang term referring to how powerful a certain link (within a site or from one website to another) is or could be. The idea is that a link from a well known website that is trusted by the search engines will pass more “juice” than one on a pointless directory. Organic Ranking – listings on search engine results pages that appear because of their relevance to the search terms, as opposed to being advertisements. Outbound Link – a link on your site that points visitors to another website.